NUGELP will be introduced at the Graduate School of Environmental Studies' open campus event for undergraduate students with interests to pursue their masters or doctoral degrees. Information on the entering examination for the Graduate Shool of Environmental Studies was updated. Information on the entering examination for the Graduate Shool of Engineering was updated. "Forum on Advanced Education for Global Environmental Leaders"
NUGELP is pleased to announce the Forum on Advanced Education for Global Environmental Leaders – Focusing on Sustainable Development in Asia and Africa – will be held on November 22, 2012. This forum not only focuses on NUGELP’s achievements in past four years, but also is a great chance to discuss education to foster environmental leaders as we invite experts in the environmental field. This will be held in Nagoya University Higashiyama Campus. Please send us your name, affiliation, contacts, and RSVP to the reception after the forum at nugelp.2012.forum@gmail.com. Please refer to the poster for further information. We hope to see many of you come to the forum! NUGELP would like to thank everyone who has participated in the 2nd annual NUGELP Photo Contest! All pictures were so beautiful and we enjoyed your insights of each shot. Total of 13 pieces were selected to be the winner. Congregations! These pictures will be on our 2013 NUGELP Calendar. For those who did not get to win this time, we still want to thank you for your interests in NUGELP and your participation. Thank you very much! NUGELP Newsletter Vol. 14 has been published! This is the very first issue after renewal of our newsletter. Please enjoy! We also release newsletters to your email. Please contact NUGELP Office if you wish to receive our newsletters personally. 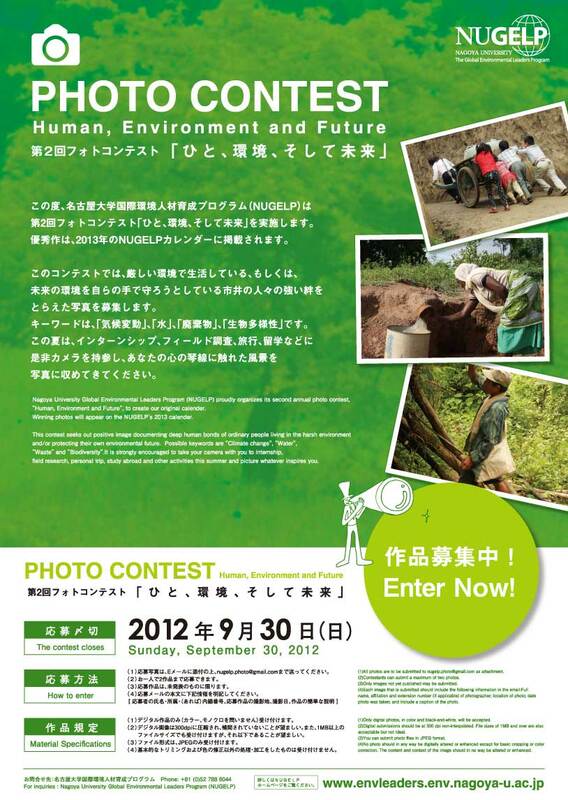 NUGELP is pleased to announce our second annual photo contest ‘‘Human, Environment and Future.’’ The winning pictures will be published as a part of the 2013 NUGELP Calendar. We will be looking forward to seeing your masterpieces from within/outside of the campus. Please refer to the Rules & Disclaimers for more details, and contact NUGELP Office if you have any further questions. From August 1, NUGELP welcomes new Associate Professor Noriko SUGIYAMA. She will be teaching Climate Change Policies and a part of Biological Resources Management Policies. Her office will be located in NUGELP Office, GSES (Kankyo Sogo-kan) Room 401, with other NUGELP faculty and staff. As per above, applicants to our program are required to enroll in either a Master's or Ph.D. degree program at the host Graduate Schools. Applications are now being received. Please access the following links for further details on the application procedures for each Graduate School. To download our "Guide for Applicants" please click the following file. To download our "Guide for Applicants" please click the following file. On May 26th, NUGELP will be introduced at the Graduate School of Environmental Studies' open campus event for undergraduate students with interests to pursue their masters or doctoral degrees. New NUGELP students are asked to attend a welcoming ceremony on April 12th, during which they will be welcomed by the faculty and offered concrete guidance on their curriculum. Sadly, Kurosaki-sensei has left us as of end March and the program wishes her all the best in her new position. From April 2nd NUGELP, however, welcomes Dr. Fides Suzanne Umemura as Assistant Professor. Current staff member, Ms. Ryoko Nakano will also work in the same Assistant Professor position. The new Assistant Coordinator Ms.Yuka Sano will be joining to support the program in full. Sixteen Master Course students and two Doctor Course studnets successfully completed the NUGELP Program, and NUGELP Closing ceremony were held for their graduation on March 25. Sixteen Master Course students and two Doctor Course students made their final presentations. From November 26 to 27, NUGELP organized the domestic study tour to visit Toyama. The farewell and welcome party for 5 graduates and 12 new students was hosted by students. Students who enrolled in 2013 fall semester successfully completed the NUGELP Program, and NUGELP Closing ceremony were held on September 28. From August 31 to September 4, NUGELP organized the international study tour to visit Mongolia. 10 students newly joined NUGELP from this April. A party was held for 4 graduating students and 7 new students. 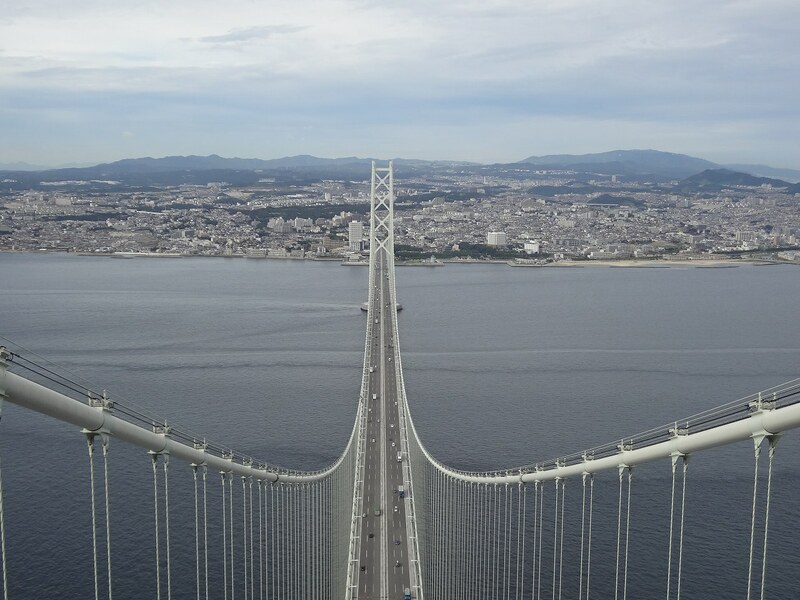 On the 20-21 of August, NUGELP conducted a study tour to Hyogo Prefecture. 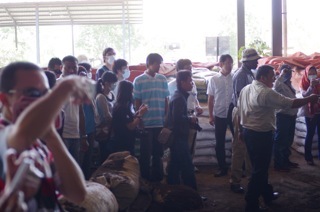 NUGELP students and 4 professors participated Jakarta study tour form November 17th to 22nd. From March 4-11, 9 students participated in the Leadership Training to visit France, Belgium and Denmark. On December 14th and 15th, 19 students and 4 instructors/staff participated in an excursion on water conservation efforts which took them to Tokuyama Dam in Gifu and Japan's largest lake, Lake Biwa in Shiga. 12 NUGELP students participated in the 3-day Yakushima Environmental Tour from January 18-20. On November 22, NUGELP hosted an international forum, titled ‘‘Forum on Advanced Education for Global Environmental Leaders – Focusing on Sustainable Development in Asia and Africa – ’’ and more than 140 people turned out. On October 1, NUGELP hosted the 2012 Fall Opening Ceremony to welcome 4 students from Philippines, 1 student from Myanmar for Master’s program. Students who enrolled in 2010 fall semester successfully completed the NUGELP Program, and NUGELP Closing ceremony and the farewell party hosted by current students were held on September 27. On September 25, the new M2 students from this fall (Bansao-san, Libut-san, Dacwag-san, Mimi-san) met with NUGELP professors to present their achievements in the past year. From September 7 for 9 days, 11 students participated in the Study Tour to visit Bangladesh for 9 days. On August 1, NUGELP hosted GRI (Global Research Internship) Presentation Session and three NUGELP students presented their accomplishments and experiences from their internship. On July 24, Graduate School of Environmental Studies hosted Master’s thesis defense session, and 6 NUGELP students, expecting to graduate this fall, namely Geng-san, Hoang-san, Lam-san, Hung-san, Francis-san, and Lumbasi-san, defended their Master’s thesis. From July 15 for 8 days, 12 NUGELP students visited the United States for their Leadership Training. They visited the World Bank in Washington DC, the United Nations Headquarters in New York, and Massachusetts Institute of Technology (MIT) and Harvard University in Boston to meet international leaders. NUGELP Spring Excursion trip took place on June 1 and 2. 25 students and 5 instructors/staff participated and visited Wind/Thermal/Solar Power Plants as well as Toyota’s Ecoful Town in Toyota City, Aich Prefecture. On May 26, School of Environmental Studies’ Open Campus was held and NUGELP was introduced during the program. 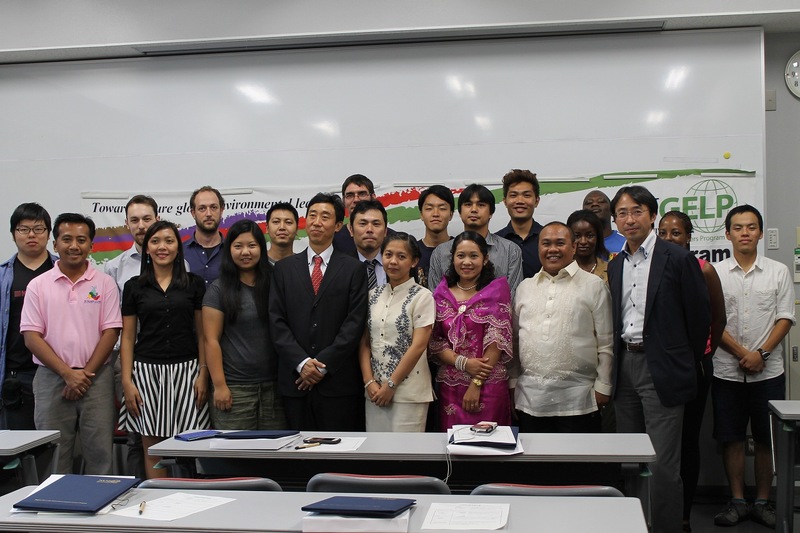 On April 23, a Students Delegation from the Philippines, visiting Japan on JENESYS (Japan-East Asia Network of Exchange for students and Youth) program, visited Nagoya University. NUGELP guidance for newly enrolled students was held on April 12. On March 31, NUGELP was introduced at an open campus event of the Graduate School of Engineering for undergraduate students with interests to pursue their masters or doctoral degrees. Many inquiries were received on NUGELP, partly due to the fact that global perspectives are increasingly required by the Japanese society. On March 26th, the class of 2010 graduated from the NUGELP program. It was a memorable event during which the faculty and current students congratulated the alumni for their accomplishments and their successful careers as a global leader in their respective areas. Overseas Training on Global Environmental Leaders in U.S.A.
From February 27 to March 4, 9 NUGELP students visited the United States as a part of Overseas Training. NUGELP students spent a day in Tohoku, Miyagi Prefecture. On February 20th, four students graduated from our Short-term Program. The program congratulates the four, Andreas Graf (Free University of Berlin), Tam Thanh Nguen (Ho Chi Minh City University of Science), Tuyen Ngoc Nguyen (Ho Chi Minh City University of Science) and Yazid (Bandung Institute of Technology) and wishes them well as they return to their universities and go on to successful careers. On February 9 and 10, NUGELP students in Graduate School of Environmental Studies and Graduate School of Engineering defended their master’s thesis. On December 14, 21 and January 11, NUGELP hosted its 3-day extension lecture series on Biological Resources Management Project with an intension of getting closer eyes on the actual practice in the field. Students visited Ise/Kumano regions in Mie Prefecture on December 9 and 10. During their visit, they learned about Mie Prefecture's environmental policy and eco-tourism making use of local resources. They also enjoyed hiking on Kumano Kodo (ancient pilgrimage routes), while listening to the details of the area. To celebrate the inter-school academic agreement between Nagoya University and Beijing Normal University, Student Forum on Sustainable City: Circulation Society and low-Carbon City was held in Beijing on November 25, and 4 instructors/staff members and 7 students (2 instructors and 4 students from NUGELP) from Nagoya University participated in this forum. On November 18 and December 2, Presentation Sessions on GRI (Global Research Internship) were held at NUGELP. 14 students on November 18, and 7 students on December 2 reported their internship experiences to the audience. On November 8, NUGELP hosted a workshop for international cooperation in training environmental leaders in Manila, Philippines. From October 2 to November 3, NUGELP　Student, Hoang participated in a group training ‘Regional Development by Sustainable Use of Biodiversity’ at JICA Chubu. Following last year's successful participation of the NUGELP students, 4 students (Haikal, Francis, Lam and Hung) participated in JICA Dialogue Program: Country Focused Training for Solid Waste Management in Sri Lanka this year from October 10 to November 1. Lam and Hung joined as a part of their GRI program. From October 27, NUGELP invited lecturers from IC-Net, the leading development consultant company, and hosted 4-day P2M (Project and Program Management) lecture series as a part of Global Environmental Leaders (GEL) Seminar. On October 3, NUGELP greeted 8 newcomers to the program - 4 students to the 2 year program and the other 4 to the short 6 month program. 5 students who enrolled in fall 2009 successfully finished the NUGELP program, and the closing ceremony was held on September 27. 12 NUGELP students participated in a study tour in Vietnam from September 4 to 11. They visited JICA, ADB (Asian Development Bank) and World Bank offices, and met with the experts in Vietnam. On July 28, NUGELP students defended their thesis on this day, one of the highlights of their studies here at the university. This program is established to foster future environmental leaders in the world particularly in Asian and African countries. Under the organization of the President of Nagoya University, the Nagoya University Global Environmental Leaders Program is established for students coming from Asian and African countries. Students will be accepted to the Department of Environmental Engineering and Architecture in the Graduate School of Environmental Studies, and the Department of Civil and Environmental Engineering in the Graduate School of Engineering, where this unique education program will be offered. This program was supported by "Strategic Funds for the Promotion of Science and Technology (MEXT)" during the FSY of 2008-2012. Copyright © NUGELP All Rights Reserved.